Valentine's Day is just around the corner. 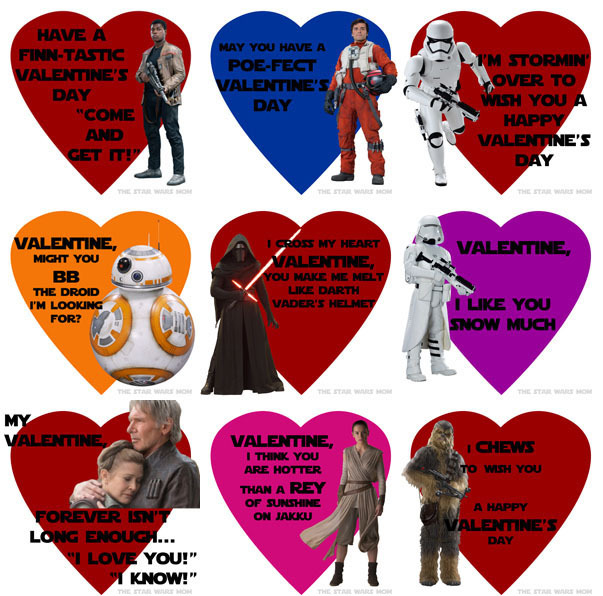 The must have Valentine cards this year are from Star Wars The Force Awakens and if you are in a situation where you cannot purchase them, I have designed free printables for you. Also on the "Rey" Valentine printable page (linked below), you will find an alternative version of the card more suitable for children. You will find Kylo Ren, Rey, Han Solo, General Leia Organa, Finn, BB-8, Chewbacca, Poe Dameron, First Order Stormtrooper, and a First Order Snowtrooper. These may not be sold. If you repost them, please link back to my site and give credit. 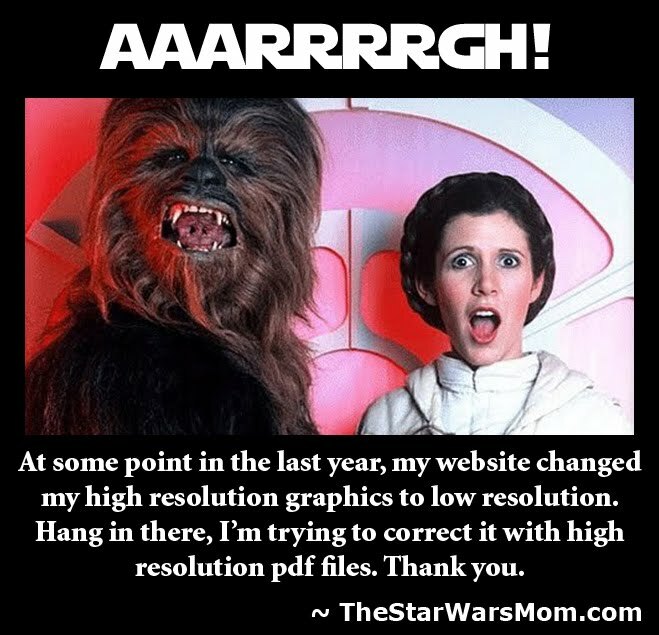 Also, I would like to give credit and thanks to Carl Milner for making my job easier to do from his amazing blog on Star Wars, please check him out and tell him I sent you! I also have some amazing Star Wars Valentine's Dinner recipes and food labels to post for you this week. I already did the photoshoot. It looked, smelled, and tasted so scrumptious. Enjoy the cards. 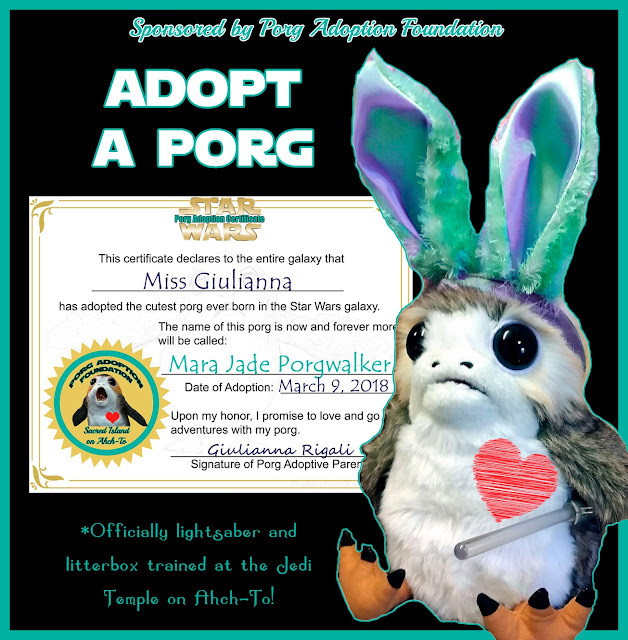 Please share with others and link them back to The Star Wars Mom website.